M.Hanson & Company, Inc. | Thinking Outside the CubicleThinking Outside the Cubicle | M.Hanson & Company, Inc.
Do You Need a Workplace Strategy? Business and workplace changes will usually drive the need for a workplace strategy. However, without a financial benefit, (for example, reduced facilities costs), research shows organizations seldom consider developing or changing their workplace strategy. Fortunately, there is almost always a financial benefit to doing so. The current economic downturn is prompting organizations to be as efficient and effective as possible. Real estate, facilities and personnel expenses are the largest of any organization, so a successful workplace strategy seeks to both improve worker performance and organizational effectiveness, while reducing real estate and facilities costs. Change initiatives offer an opportunity to assess the efficiency and effectiveness of workplaces to better meet the new realities. A recent IBM survey polled 1,500 CEOs about the state of the future of business. The study reported that today’s world of work is substantially more volatile, uncertain, and complex. Seventy-nine percent of CEOs anticipate greater complexity in the future. Sixty percent indicate the best way to defy complexity is with creativity. Work is increasingly multi-modal. Discussions of office work mix work behaviors, including independent and collaborative work modes. Multipurpose space – Using space for different activities over time reduces the need for dedicated, specific function spaces. On-site/flexible/drop-in spaces – Unassigned workspaces available on a first come, first-served basis. “Hotelling” – Treating workspaces like a hotel where workers reserve a space for the time needed and release it to be used by others when they are finished. Zones and neighborhoods – Creating activity-based spaces that are clustered together, such as quiet spaces zoned together and buffered from spaces where activities create more noise. Do we have too much or too little? Is it in the best location? What types of work spaces will best support our employees? 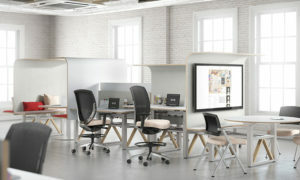 Do we have the right mix (both individual and collaborative spaces)? The optimum workplace strategy will vary greatly, dependent upon the needs of an organization and the work needs of its employees. 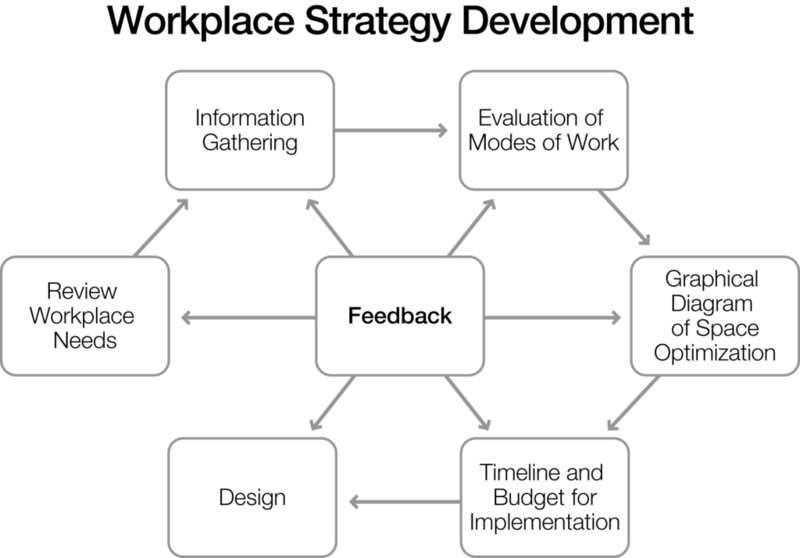 Consideration of a workplace strategy will benefit organizations, large and small. The greatest benefit of workplace strategy lies in redesigning office workplaces to better support how work currently and actually gets done. Despite changes in economics, technology and evolving modes of productive, creative work, workplaces are important strategic assets, from which organizations should well plan for a healthy return on investment. Study and Research: Tim Springer, PhD, President and founder of Human Environmental Research Organization, Inc.